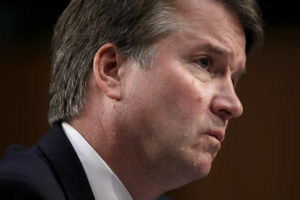 WASHINGTON — The Senate Judiciary Committee says it is reviewing new allegations of sexual misconduct against Supreme Court nominee Brett Kavanaugh. Avenatti declined to expand on the allegation in an interview Wednesday on ABC’s “The View,” saying he would not add detail beyond what was in the statement. Avenatti also represents Stormy Daniels, an adult film actress who alleges she was paid to keep a sexual relationship with President Donald Trump quiet.